Add money to my child's food service account. See what's posted on the Online Bulletin Board. 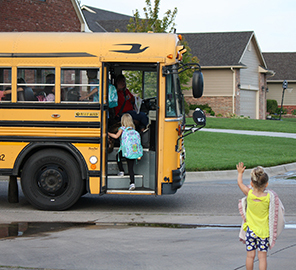 Access the Maize Board of Education policy. Locate a district event on a map. Contact the Maize Board of Education. Find a school supply list. 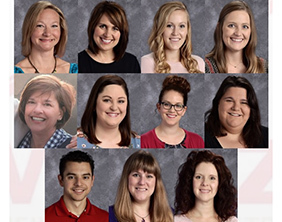 The educators have been recognized by their peers and administrators as professionals who, among other things, work as team players in the district to provide quality educational experiences for students. 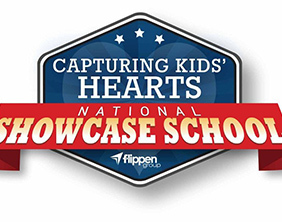 Congrats to Maize Central, Pray-Woodman, Vermillion, Maize Middle, and Maize South Middle, each named a Capturing Kids' Hearts National Showcase School! I continue to be excited about the momentum of so many important issues, including facilities and growth and the OneMa1ze, OneVision strategic plan. The fee for use of district-owned musical instruments will increase to help cover costs, and the adult lunch cost will increase 15 cents. 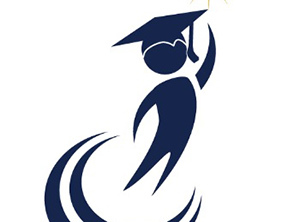 Please share your feedback: How do you as a parent or guardian define success for your child? Member districts of the Sedgwick County Area Educational Services Interlocal Cooperative are considering a new organization of three separate cooperatives. 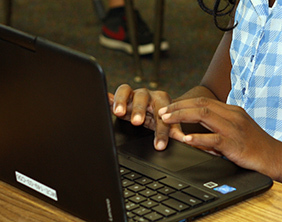 This is the latest step in the district's ongoing commitment to connect students to the vast world around them with the help of technology and resources. 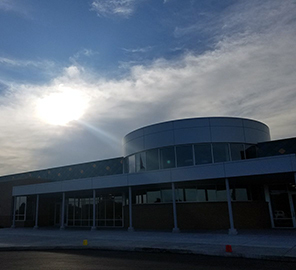 Our vision for a united school district began as a collective goal among Maize USD 266 administrative staff members at the beginning of the 2015-16 year. 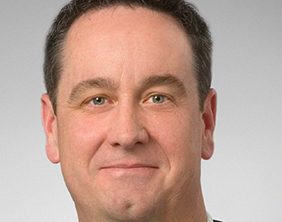 It since has inspired student artwork, charitable cooperation, a flash mob, and more. From Eagles and Mavericks collaborating on fundraising community projects to high school students helping in our preschool classrooms, we are stronger together. Thank you for your support, and please use the hashtag #OneMa1ze on social media to be a part of our story! 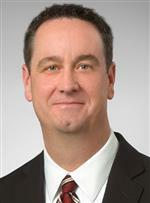 What is best for our students? Maslow's Pantry is a students-helping-students program that provides food, hygiene items, and clothes to students, their families, and others in our community. The pantry is in the building in front of Maize High School that formerly served as the police station. Maslow's respects anonymity and depends on donations. Students visit to select items they need. Others interested in helping can deliver donations to the front office at Maize High, 11600 W. 45th St. North in Maize. Needs include dried boxed food, personal hygiene items, and prom dresses. A local business will dry clean and alter gowns for Maslow's prom dress exchange, which started last year and aims to be even larger this spring. Thank you for your support! Send your questions or comments to webmaster @usd266.com. District opens its first standalone preschool in August 2017, thanks to the bond issue passed in June 2015. 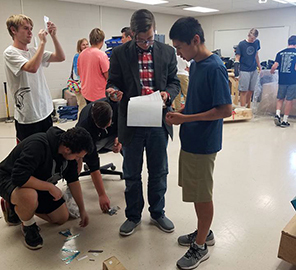 Maize USD 266 high school students build an airplane in class.